I’m actually an ex-lifter, but I did it for about 2 years with protein shakes and high-calorie intakes, and while I definitely became stronger, I never looked toned. Are some people’s bodies just not capable of getting this look? I recently started boxing and really want definition in my arms. p.s. I’m very petite, if that makes any difference. I’m 5’3, was 95lbs at the beginning of lifting, 105 at the end. I fluctuate between 105–110 now. Ah Jesus, finally the time has come. So, ok, let’s try to give ourselves sort of a starting point to begin with — what does “toned” really mean? To some people, this is toned. To others, this is toned. To still others, “virtually no muscle definition and just essentially thinness and a flat stomach, with maybe the barest hint of abs” is toned. I hate this word, because it has no agreed-upon definition, and I’m not alone; a lot of fitness people and professionals don’t like it either. Telling a trainer you want to be “toned” is like going to a hair stylist and saying “just make me look cool.” Often even when you’re talking about the same basic look on women and men — a little bit of muscle, low body fat — they nearly always have to do different things to attain it. I’m glad we are talking about this, because lifting can do all of these things. 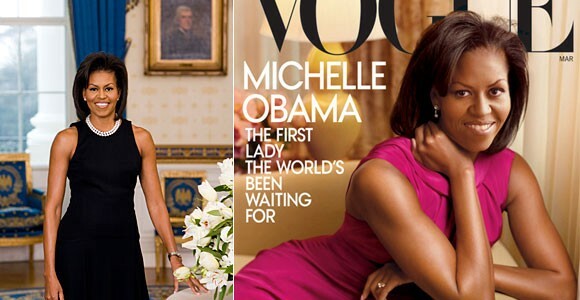 If you want something like Michelle Obamarms, it can be done. Anyone can become “toned” and increase the amount of muscle and reduce the amount of fat on their body. But not everyone can do the same things to get it. Maybe the most annoying thing about “toned” is, while it’s used to describe women’s bodies, the activities that are advertised as capable of giving that look seem more derived from what men do. Men build and maintain muscle more easily than women due to their hormones and genetics, plus the way they are raised, so virtually any exercise will burn away their fat, leaving a decent amount of muscle — Pilates, yoga, walking, rolling over in their sleep. Men can “tone” by doing almost anything. Men’s bodies’ relationship to fat is also different — they can cut quite low, to single-digits percent body fat, but there are consequences for women to maintain less than 10 percent: our bodies’ reproductive systems will freak out and long-term it can lead to osteoporosis. I’d bet you most women you see who appear toned are either genetically gifted with respect to how much muscle lighter activities will put on them, or they have worked very hard in a specific way to get their muscle, and that journey isn’t apparent to you. People make this mistake likewise with athletes — boxers have a look, just as marathon runners or weightlifters do. But a) their elite status suggests there are probably some genetic gifts at play, and more importantly, b) athletes don’t get their look from just doing their sport. Boxers practice their boxing, but they also do quite a bit of other training, including lifting. The thing about standard beginning lifting programs is they are mostly designed to build strength. They will give you some muscle, but how much depends on your gender, your genetics, and your background. Men build muscle more easily than women, some people will put muscle on more easily than others (though the range for women is pretty narrow), and someone who has an athletic background and has built muscle before will put it on more easily. It is exceedingly hard for women to build muscle, as you’ve already seen, especially visible muscle — years of assiduous effort will make you strong and keep you fit, but not necessarily bulk you up. You couldn’t know that a lot of women lift, to look at them, and even many very strong women just look like they work out, with their clothes on. If visible muscles are your goal and strength training alone is not doing it for you (though it will for some people!) you have to start to skew in the direction of more hypertrophy work. Muscle hypertrophy means “increase in size/volume by increasing the size of cells”; literally, making your muscles bigger. The other part of the “toned” equation, regardless of which body you’re talking about, is body composition. This isn’t likely to be your issue, since 95 pounds at 5’3″ is an underweight BMI; even 105 is on the very low side of normal. But for the benefit of everyone else: you can have a lot of muscle mass and even be very strong, but if it’s covered under a significant amount of fat, you aren’t going to get That Look. Having muscle makes it easy to cut and maintain low body fat, but you have to do it carefully to not lose your muscle. Once you have muscle, even if you train to maintain it, it’s possible to diet it away along with fat if you are not eating enough. Most toned women are actually quite heavy for their size, because muscle weighs more than fat. Here are some Instagrams of women I would call toned, who became so by gaining quite a bit of weight. Maybe their muscles scare you, and to that I say, lame. But I think the point holds. It’s great that you gained about ten pounds already, but as I said, you were very small to begin with, and ten pounds over two years when you are lifting is not much; to get to the level of muscle you want (and I know I’m taking a stab here, but), you probably need quite a bit more. In fact, many people who strength-train or bodybuild edge into the “overweight” BMI category, but it’s because they are in TOO MUCH health. Back to hypertrophy — training for size involves many of the same principles as strength, namely that you have to eat at a surplus to build muscle, and you have to continue to increase your weights; doing the same weights over and over, even if they are heavy, is not going to continue to give you results after a certain point. However, rather than doing fewer than five reps per set as you do in strength training, you will generally do 6–12 reps. It’s unclear what you were doing before, but if you have a solid strength base from running a strength-oriented program, you can move on to something more intermediate like PHUL (power-hypertrophy-upper-lower) or PPL (push-pull-legs), programs that integrate hypertrophy work with strength training. You mention you wanted toned arms specifically, and you may notice these are full-body programs. You could easily not do the leg stuff and just focus on your arms; lord knows every man in my gym is doing that very thing. But my argument here would be, your legs have the biggest muscles on your body, so if you are going to want to manipulate your body fat around by bulking (purposefully gaining weight and muscle) and then cutting (losing fat, keeping as much muscle as possible), your legs are going to pull most of that weight (lol). This is again something men can get away with because of their relationship to fat and muscle, but women can’t as easily. If you’ve been through basic strength training, you’ve also already been through the phase where you can lose fat and gain muscle at the same time. There are a lot of schools of thought on what to do next that there isn’t space to get into right now — lean bulk, dirty bulk, etc. — but know that going forward you won’t be able to gain the muscle you want in your arms, or anywhere, without eating at least a modest surplus, like 10 percent more calories per day than your total daily energy expenditure (you, individually, should probably eat even more). Boxing will obviously work your upper body. I have sort of a bone to pick with it, because I think its trendiness is peaking thanks to like, the Gigi Hadids of the world, so, fine, it is no different than any other fitness trend. But I think you’ve shown your body already to be not terribly responsive to building size with just any stimulus. Which is also fine; you are a normal woman. Beyond a certain pretty low bar, doing actual boxing is going to affect your muscle endurance more so than size. What you need to build muscle is the ability to systematically overload your muscles. I’m getting really deep in the weeds with myself on like “what constitutes muscle-building exercise” here; for instance, theoretically, you can try to keep punching harder and harder? And that would build muscle. At best, it will take way, way longer. It’s far easier to regulate your program and growth when you are just doing the same movements and applying resistance as you would by, say, adding weight to the bar you’re bench pressing. Plus, it will happen faster. So, my suggestion would be to do that! But adjust your rep ranges/program so that you are no longer pursuing just strength (or maybe not even strength at all, as long as you have that base to work off of), but growth. Got a question for A Swole Woman? Email swole@thehairpin.com. You can also follow her on Instagram and Facebook.